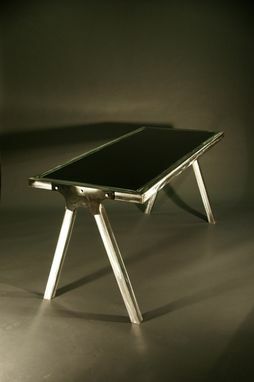 This sturdy office or home desk is designed and constructed from the ground up. 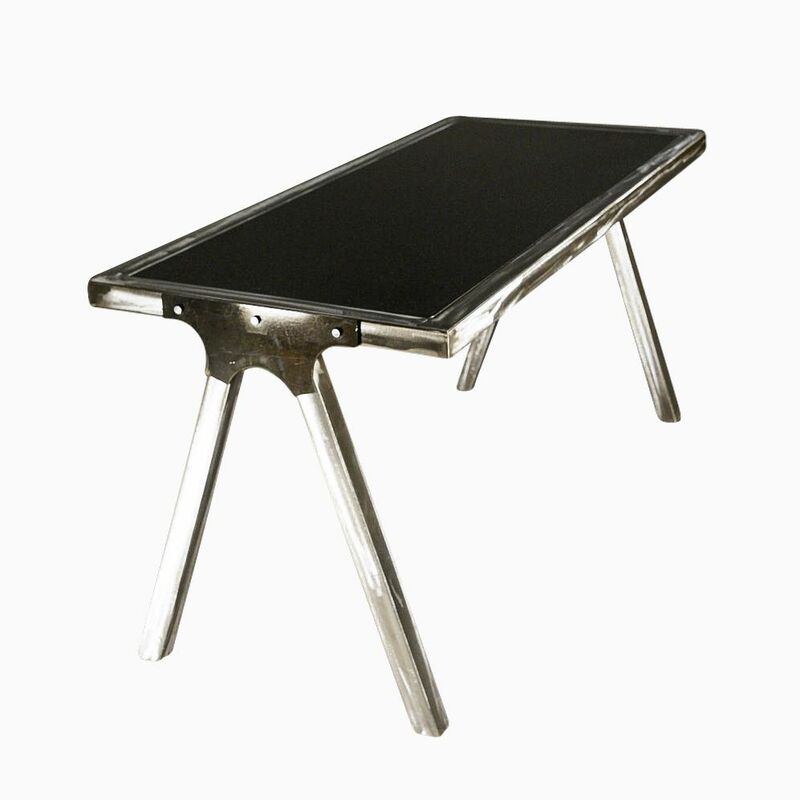 Each part of this desk is carefully designed for stability and style. Polished steel legs and frame stand brightly against the black wooden inlay. Have a different color in mind? Here at Fast Lane Customs we can meet your needs, just let us know how we can customize your order.